Despite WeChat’s incredible growth, engagement on articles published by official accounts has fallen by two thirds in the past 3 years. WeChat users are bombarded by content and it’s becoming harder for publishers to reach their fans. 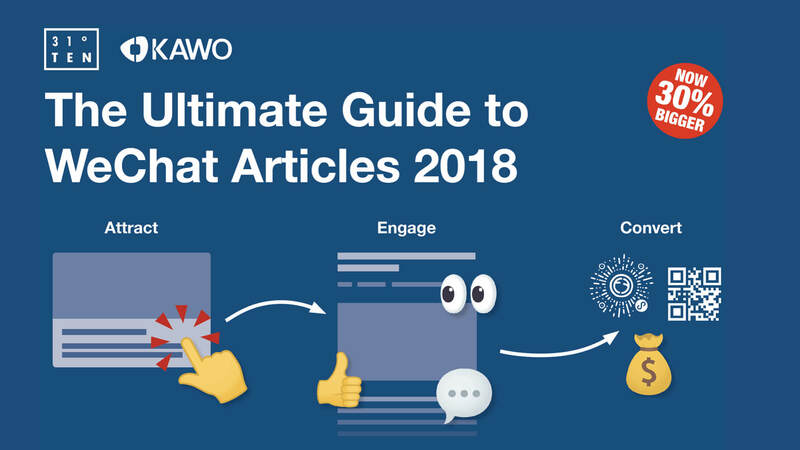 Building on the success of last year’s guide KAWO & 31Ten have invested over 250 hours producing The Ultimate Guide to WeChat Articles 2018. This year’s guide goes into a greater detail and including completely new sections on mini-programs and simple post types. Click the ‘read more’ link to get emailed a PDF copy or request a FREE printed copy of this great book. Previous Previous post: Aliexpress in Russia. Will China digitalise Russia?